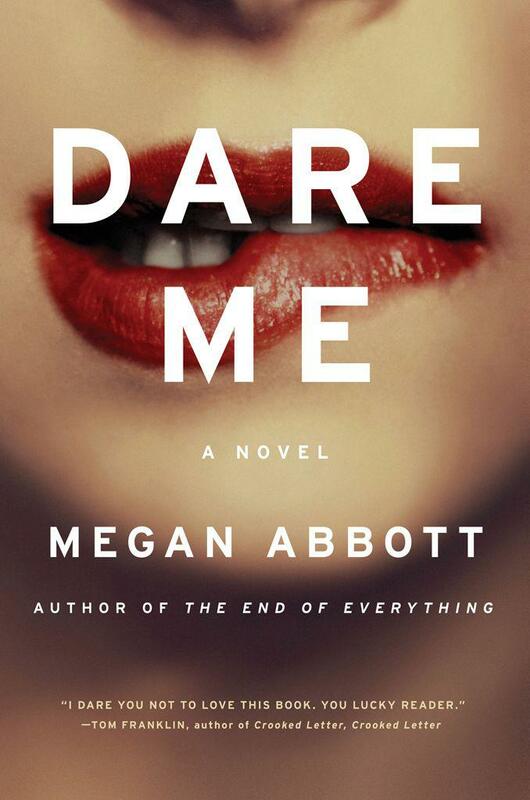 I’m reading Dare Me, by Megan Abbott, which is, I think, classified as a crime novel? It’s about a group of cheerleaders who come under the influence of a charismatic new coach. And the coach clashes with the captain of the team. And then there’s a suicide. Or it might be a murder. It’s a pretty fantastic book. I heard about it on a Guardian book blog that I can no longer find, about ten women authors that we should all be reading, and I was pretty hooked by the premise. It took my awhile to get into the writing. There’s a strain of purpleness that’s in the DNA of noir writing, and I’m not entirely convinced that I like it. It’s one of the reasons that I prefer Dashiell Hammet to Raymond Chandler. Hammett just tells things like they are, while Chandler tries to fancy them up. For instance, in one of his books on writing, Orson Scott Card has one of these little disquisitions on the sentence, “She was a blonde to make a bishop kick in a stained glass window” from some Chandler novel. And Card is all about how wonderful this sentence is. But I don’t know if I agree. To me, this sentence seems imprecise, overwrought, and full of unexamined assumptions that it’s trying to force upon the reader (i.e. it assumes that the reader has some pre-existing image of a rapturously beautiful blonde and attempts to evoke this image, rather than building upon or challenging it). And there’s a lot of wordiness–alot of colorfulness–in Abbott too. After a game, it takes a half hour under the showerhead to get all the hairspray out. To peel off all the sequins. To dig out that last bobby pin nestled deep in your hair. Noir literature is, in general, deeply unsettled by female sexuality. And Abbott uses this to her advantage, by writing about teenage girls who are unsettled by their own sexuality. And she gets through the thicket of cliches that surround female bodies and female beauty by starting from the basics: what is it like to inhabit one of these bodies? Excellent stuff. Highly recommended (especially if you, for instance, really enjoyed Gone Girl).